Mathletics is a multi-award winning learning resource that encourages students and rewards results – hugely popular with pupils, teachers and parents alike. In school we celebrate success by awarding certificates for points gained in Mathletics every week. 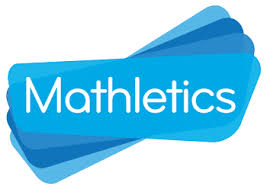 Login to your Mathletics account here. Woodlands Junior is an excellent site with games and challenges in maths and grammar. Topmarks have some free grammar, maths and spelling games. TT Rockstars is every pupils favourite way to learn their tables. Education City is an excellent way to learn all subjects with activities and help. BBC Bitesize is a useful page. Some of the materials are not quite age appropriate at the moment as the site is currently being developed to match the new curriculum. However, it is a good resource and is continually improving.